Choose reliable internet that fulfills your family’s needs without breaking the bank with Windstream. Is your family looking for more than just basic email use and website access? Look no further than Windstream internet! 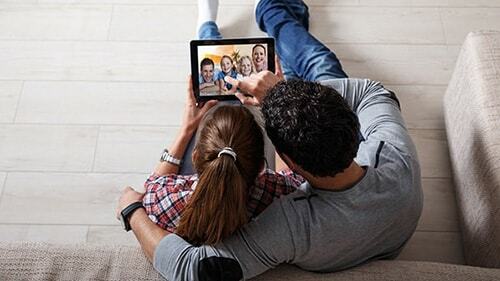 With Windstream internet there are internet plans suited for every home. 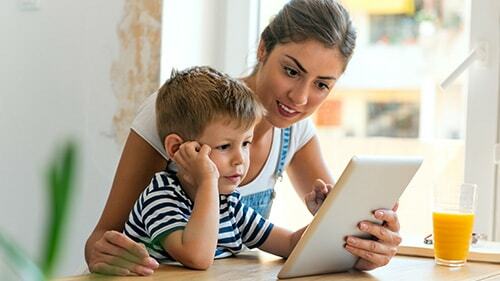 Whether your family likes to share photos online or your kids need home internet access to do their homework, Windstream internet is fast and reliable. Plus, no matter which internet plan you choose, you’ll have free access to 24/7 technical support. All internet only plans are no contract and have unlimited data starting at $54.95 per month. The pricing in the chart is for internet service only. To get the best price, bundle Windstream internet with home phone service. Windstream is primarily a DSL internet connection, but does have cable and fiber internet connections in select locations. 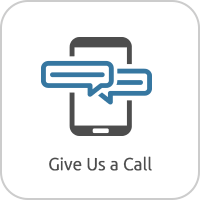 Call to find out if Windstream cable or fiber is available in your area today! When is the last time you’ve upgraded your router? Even if your router is a part of a modem router combination from Windstream – you don’t have to use the router portion of your modem router combo if you don’t want to. In fact, getting a standalone router often delivers faster speeds and has more advanced features to help you make the most of your Wi-Fi. View our top router picks for 2019 that are compatible with Windstream internet here. Tired of paying a lease fee every month for an outdated Windstream modem? See our top modem picks for 2019 that are compatible with Windstream internet here. All your questions about Windstream internet service are answered! See all our frequently asked questions regarding Windstream internet here. Is Windstream internet right for you? Read our full, in-depth review of Windstream internet here. Internet Speeds Up To 1000 Mbps! With internet speeds up to 1000 Mbps, you’ll spend less time waiting and more time doing the things you enjoy doing online! These speeds are great for binge watching streaming TV, playing online videogames, shopping online and sharing photos with friends and family. Plus there are no data caps to worry about when you subscribe to a Windstream internet plan. windstream	Overall rating:	4.3	out of 5 based on 17	reviews. Zone 1 and Zone 2 Premium Markets 1. Zone 1 and Zone 2 Premium Markets – Solo Windstream: Limited-time, non-transferable offer for residential customers that may not be combined with other promotions. Subject to availability, credit approval, Windstream Terms and Conditions (www.windstream.com/terms), and Windstream Acceptable Use Policy (windstream.net). Details: Must be a new Windstream customer who has not received Windstream service within the past 30 days. Must subscribe to select plans qualify. Promotional credit will vary by plan. After 12 months, the standard HSI rate applies. High Speed Internet: Includes Internet transport, Internet access, and unlimited incoming calls. Outbound calls, except for toll free and 911, will be charged at 10 cents/minute. Operator Service and 411 will be charged at tariffed rates. No features or long-distance carrier rates allowed. Windstream cannot guarantee speeds or uninterrupted, error-free service. Speed availability, capabilities and provisioning vary depending on network and terrain conditions, Internet, website, or network congestion, and customer geographical location. Windstream makes no representations related to download or upload speeds. Windstream assumes no responsibility or liability for interruption of services or service performance differences actual and advertised performance. Enhanced Speed: Windstream will provision customer’s location for the fastest speed available, up to 10-25M, at the time of order but cannot guarantee speed. Additional fees may apply. Premium Plans: Monthly fees apply. Windstream will provision customer’s location for the fastest speed available, up to 50Mb, 75Mb, or 100M, or 1Gb at the time of order but cannot guarantee speed. For devices connecting via a wireless networking connection, speed capabilities may be impacted by the device’s distance from the modem, interference from other equipment or devices at the location, modem location, types of devices connected, physical obstructions, or time of day. Equipment: Monthly equipment fees may apply. Windstream-provided modems will be capable of in-home wireless networking, but devices supported by in-home wireless networking connections may experience speeds not equal to advertised speeds or the speed referenced in your High Speed Internet plan. With wireless networking, actual throughput speed may be impacted by several factors including interference from other equipment or devices at the location, distance from the modem, modem location, types of devices connected, physical obstructions, and time of day. To obtain advertised speed, connecting a device directly to the modem to provide a wired connection is recommended. Modem equipment must be returned upon termination, and if not, Windstream reserves the right to charge for the modem or a $100 fee. Windstream and the Windstream logo are registered service marks of Windstream Services, LLC © 2017 Windstream Services, LLC. Additional restrictions may apply. 2. 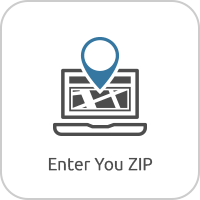 Zone 1 and Zone 2 Premium Markets – Bundle Windstream: Limited-time, non-transferable offer for residential customers that may not be combined with other promotions. Subject to availability, credit approval, Windstream Terms and Conditions (www.windstream.com/terms), and Windstream Acceptable Use Policy (windstream.net). Details: Must be a new Windstream customer who has not received Windstream service within the past 30 days. Must subscribe to select plans qualify. Customers subscribing to select speeds may qualify for a one-time credit to be applied to customer’s first month’s bill. Promotional credit will vary by plan. After 12 months, the standard HSI rate applies. High Speed Internet: Windstream cannot guarantee speeds or uninterrupted, error-free service. Speed availability, capabilities and provisioning vary depending on network and terrain conditions, Internet, website, or network congestion, and customer geographical location. Windstream makes no representations related to download or upload speeds. Windstream assumes no responsibility or liability for interruption of services or service performance differences actual and advertised performance. Enhanced Speed: Windstream will provision customer’s location for the fastest speed available, up to 10-25M, at the time of order but cannot guarantee speed. Additional fees may apply. Premium Plans: Monthly fees apply. Windstream will provision customer’s location for the fastest speed available, up to 50Mb, 75Mb, or 100M, or 1Gb, at the time of order but cannot guarantee speed. For devices connecting via a wireless networking connection, speed capabilities may be impacted by the device’s distance from the modem, interference from other equipment or devices at the location, modem location, types of devices connected, physical obstructions, or time of day. Equipment: Monthly equipment fees may apply. Windstream-provided modems will be capable of in-home wireless networking, but devices supported by in-home wireless networking connections may experience speeds not equal to advertised speeds or the speed referenced in your High Speed Internet plan. With wireless networking, actual throughput speed may be impacted by several factors including interference from other equipment or devices at the location, distance from the modem, modem location, types of devices connected, physical obstructions, and time of day. To obtain advertised speed, connecting a device directly to the modem to provide a wired connection is recommended. Modem equipment must be returned upon termination, and if not, Windstream reserves the right to charge for the modem or a $100 fee. Unlimited Phone: Includes residential voice calls, certain calling features and unlimited residential long distance (see www.windstream.com for examples) within the U.S. and select territories. Calls inconsistent with these terms may void Unlimited Phone and Windstream may charge 10 cents per minute, per call. Windstream and the Windstream logo are registered service marks of Windstream Services, LLC © 2017 Windstream Services, LLC. Additional restrictions may apply. Zone 1 and Zone 2 Non-Premium Markets 3. Zone 1 and Zone 2 Non-Premium Markets – Solo Windstream: Limited-time, non-transferable offer for residential customers that may not be combined with other promotions. Subject to availability, credit approval, Windstream Terms and Conditions (www.windstream.com/terms), and Windstream Acceptable Use Policy (windstream.net). Details: Must be a new Windstream customer who has not received Windstream service within the past 30 days. Must subscribe to select plans qualify. Promotional credit will vary by plan. After 12 months, the standard HSI rate applies. High Speed Internet: Includes Internet transport, Internet access, and unlimited incoming calls. Outbound calls, except for toll free and 911, will be charged at 10 cents/minute. Operator Service and 411 will be charged at tariffed rates. No features or long-distance carrier rates allowed. Windstream cannot guarantee speeds or uninterrupted, error-free service. Speed availability, capabilities and provisioning vary depending on network and terrain conditions, Internet, website, or network congestion, and customer geographical location. Windstream makes no representations related to download or upload speeds. Windstream assumes no responsibility or liability for interruption of services or service performance differences actual and advertised performance. Enhanced Speed: Windstream will provision customer’s location for the fastest speed available, up to 10-25M, at the time of order but cannot guarantee speed. Additional fees may apply. Equipment: Monthly equipment fees may apply. 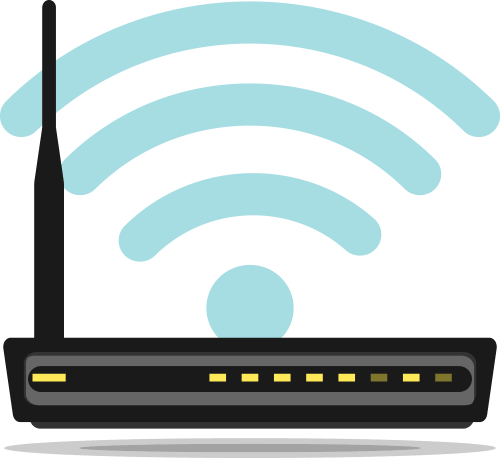 Windstream-provided modems will be capable of in-home wireless networking, but devices supported by in-home wireless networking connections may experience speeds not equal to advertised speeds or the speed referenced in your High Speed Internet plan. With wireless networking, actual throughput speed may be impacted by several factors including interference from other equipment or devices at the location, distance from the modem, modem location, types of devices connected, physical obstructions, and time of day. To obtain advertised speed, connecting a device directly to the modem to provide a wired connection is recommended. Modem equipment must be returned upon termination, and if not, Windstream reserves the right to charge for the modem or a $100 fee. Windstream and the Windstream logo are registered service marks of Windstream Services, LLC © 2017 Windstream Services, LLC. Additional restrictions may apply. 4. Zone 1 and Zone 2 Non-Premium Markets – Bundle Windstream: Limited-time, non-transferable offer for residential customers that may not be combined with other promotions. Subject to availability, credit approval, Windstream Terms and Conditions (www.windstream.com/terms), and Windstream Acceptable Use Policy (windstream.net). Details: Must be a new Windstream customer who has not received Windstream service within the past 30 days. Must subscribe to select plans qualify. Customers subscribing to select speeds may qualify for a one-time credit to be applied to customer’s first month’s bill. Promotional credit will vary by plan. After 12 months, the standard HSI rate applies. High Speed Internet: Windstream cannot guarantee speeds or uninterrupted, error-free service. Speed availability, capabilities and provisioning vary depending on network and terrain conditions, Internet, website, or network congestion, and customer geographical location. Windstream makes no representations related to download or upload speeds. Windstream assumes no responsibility or liability for interruption of services or service performance differences actual and advertised performance. Enhanced Speed: Windstream will provision customer’s location for the fastest speed available, up to 10-25M, at the time of order but cannot guarantee speed. Additional fees may apply. Equipment: Monthly equipment fees may apply. Windstream-provided modems will be capable of in-home wireless networking, but devices supported by in-home wireless networking connections may experience speeds not equal to advertised speeds or the speed referenced in your High Speed Internet plan. With wireless networking, actual throughput speed may be impacted by several factors including interference from other equipment or devices at the location, distance from the modem, modem location, types of devices connected, physical obstructions, and time of day. To obtain advertised speed, connecting a device directly to the modem to provide a wired connection is recommended. Modem equipment must be returned upon termination, and if not, Windstream reserves the right to charge for the modem or a $100 fee. Unlimited Phone: Includes residential voice calls, certain calling features and unlimited residential long distance (see www.windstream.com for examples) within the U.S. and select territories. Calls inconsistent with these terms may void Unlimited Phone and Windstream may charge 10 cents per minute, per call. Windstream and the Windstream logo are registered service marks of Windstream Services, LLC © 2017 Windstream Services, LLC. Additional restrictions may apply. Zone 3 Premium Markets 5. Zone 3 Premium Markets – Solo Windstream: Limited-time, non-transferable offer for residential customers that may not be combined with other promotions. Subject to availability, credit approval, Windstream Terms and Conditions (www.windstream.com/terms), and Windstream Acceptable Use Policy (windstream.net). Details: Must be a new Windstream customer who has not received Windstream service within the past 30 days. Must subscribe to select plans qualify. High Speed Internet: Includes Internet transport, Internet access, and unlimited incoming calls. Outbound calls, except for toll free and 911, will be charged at 10 cents/minute. Operator Service and 411 will be charged at tariffed rates. No features or long-distance carrier rates allowed. Windstream cannot guarantee speeds or uninterrupted, error-free service. Speed availability, capabilities and provisioning vary depending on network and terrain conditions, Internet, website, or network congestion, and customer geographical location. Windstream makes no representations related to download or upload speeds. 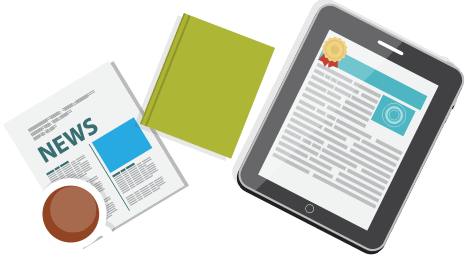 Windstream assumes no responsibility or liability for interruption of services or service performance differences actual and advertised performance. Enhanced Speed: Windstream will provision customer’s location for the fastest speed available, up to 10-25M, at the time of order but cannot guarantee speed. Additional fees may apply. Premium Plans: Monthly fees apply. Windstream will provision customer’s location for the fastest speed available, up to up to 50Mb, 75Mb, or 100M, at the time of order but cannot guarantee speed. For devices connecting via a wireless networking connection, speed capabilities may be impacted by the device’s distance from the modem, interference from other equipment or devices at the location, modem location, types of devices connected, physical obstructions, or time of day. Equipment: Monthly equipment fees may apply. Windstream-provided modems will be capable of in-home wireless networking, but devices supported by in-home wireless networking connections may experience speeds not equal to advertised speeds or the speed referenced in your High Speed Internet plan. With wireless networking, actual throughput speed may be impacted by several factors including interference from other equipment or devices at the location, distance from the modem, modem location, types of devices connected, physical obstructions, and time of day. To obtain advertised speed, connecting a device directly to the modem to provide a wired connection is recommended. Modem equipment must be returned upon termination, and if not, Windstream reserves the right to charge for the modem or a $100 fee. Lifetime Price Guarantee: Covers standard bundle price only for Unlimited Phone and up to 6M HSI, but not promotional pricing, credits, early termination fees, additional services, installation or equipment, government-mandated or permissible current and future taxes, fees, surcharges, recovery fees, collection fees, or other charges. Void if customer moves, event to a Windstream service area, makes any changes to services, disconnects any services, is disconnected by Windstream, or fails to make full payment when due. If use of Unlimited Phone is inconsistent with the terms, Windstream may void Lifetime Price Guarantee resulting in rates converting to the then-applicable rate for the bundle or service. Windstream and the Windstream logo are registered service marks of Windstream Services, LLC © 2017 Windstream Services, LLC. Additional restrictions may apply. 6. Zone 3 Premium Markets – Bundle Windstream: Limited-time, non-transferable offer for residential customers that may not be combined with other promotions. Subject to availability, credit approval, Windstream Terms and Conditions (www.windstream.com/terms), and Windstream Acceptable Use Policy (windstream.net). Details: Must be a new Windstream customer who has not received Windstream service within the past 30 days. Must subscribe to select plans qualify. Customers subscribing to select speeds may qualify for a one-time credit to be applied to customer’s first month’s bill. High Speed Internet: Windstream cannot guarantee speeds or uninterrupted, error-free service. Speed availability, capabilities and provisioning vary depending on network and terrain conditions, Internet, website, or network congestion, and customer geographical location. Windstream makes no representations related to download or upload speeds. Windstream assumes no responsibility or liability for interruption of services or service performance differences actual and advertised performance. Enhanced Speed: Windstream will provision customer’s location for the fastest speed available, up to 10-25M, at the time of order but cannot guarantee speed. Additional fees may apply. Premium Plans: Monthly fees apply. Windstream will provision customer’s location for the fastest speed available, up to 50Mb, 75Mb, or 100M, at the time of order but cannot guarantee speed. 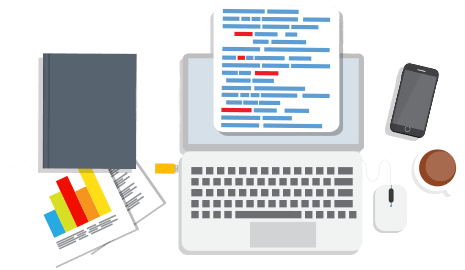 For devices connecting via a wireless networking connection, speed capabilities may be impacted by the device’s distance from the modem, interference from other equipment or devices at the location, modem location, types of devices connected, physical obstructions, or time of day. Equipment: Monthly equipment fees may apply. 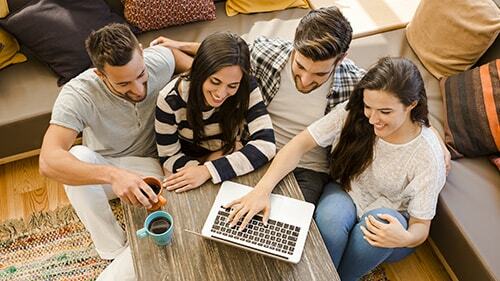 Windstream-provided modems will be capable of in-home wireless networking, but devices supported by in-home wireless networking connections may experience speeds not equal to advertised speeds or the speed referenced in your High Speed Internet plan. With wireless networking, actual throughput speed may be impacted by several factors including interference from other equipment or devices at the location, distance from the modem, modem location, types of devices connected, physical obstructions, and time of day. To obtain advertised speed, connecting a device directly to the modem to provide a wired connection is recommended. Modem equipment must be returned upon termination, and if not, Windstream reserves the right to charge for the modem or a $100 fee. Unlimited Phone: Includes residential voice calls, certain calling features and unlimited residential long distance (see www.windstream.com for examples) within the U.S. and select territories. Calls inconsistent with these terms may void Unlimited Phone and Windstream may charge 10 cents per minute, per call. Lifetime Price Guarantee: Covers standard bundle price only for Unlimited Phone and up to 6M HSI, but not promotional pricing, credits, early termination fees, additional services, installation or equipment, government-mandated or permissible current and future taxes, fees, surcharges, recovery fees, collection fees, or other charges. Void if customer moves, event to a Windstream service area, makes any changes to services, disconnects any services, is disconnected by Windstream, or fails to make full payment when due. If use of Unlimited Phone is inconsistent with the terms, Windstream may void Lifetime Price Guarantee resulting in rates converting to the then-applicable rate for the bundle or service. Windstream and the Windstream logo are registered service marks of Windstream Services, LLC © 2017 Windstream Services, LLC. Additional restrictions may apply. Zone 3 Non Premium Markets 7. Zone 3 Non Premium Markets – Solo Windstream: Limited-time, non-transferable offer for residential customers that may not be combined with other promotions. Subject to availability, credit approval, Windstream Terms and Conditions (www.windstream.com/terms), and Windstream Acceptable Use Policy (windstream.net). Details: Must be a new Windstream customer who has not received Windstream service within the past 30 days. Must subscribe to select plans qualify. High Speed Internet: Includes Internet transport, Internet access, and unlimited incoming calls. Outbound calls, except for toll free and 911, will be charged at 10 cents/minute. Operator Service and 411 will be charged at tariffed rates. No features or long-distance carrier rates allowed. Windstream cannot guarantee speeds or uninterrupted, error-free service. Speed availability, capabilities and provisioning vary depending on network and terrain conditions, Internet, website, or network congestion, and customer geographical location. Windstream makes no representations related to download or upload speeds. Windstream assumes no responsibility or liability for interruption of services or service performance differences actual and advertised performance. Enhanced Speed: Windstream will provision customer’s location for the fastest speed available, up to 10-25M, at the time of order but cannot guarantee speed. Additional fees may apply. Equipment: Monthly equipment fees may apply. Windstream-provided modems will be capable of in-home wireless networking, but devices supported by in-home wireless networking connections may experience speeds not equal to advertised speeds or the speed referenced in your High Speed Internet plan. With wireless networking, actual throughput speed may be impacted by several factors including interference from other equipment or devices at the location, distance from the modem, modem location, types of devices connected, physical obstructions, and time of day. To obtain advertised speed, connecting a device directly to the modem to provide a wired connection is recommended. Modem equipment must be returned upon termination, and if not, Windstream reserves the right to charge for the modem or a $100 fee. Lifetime Price Guarantee: Covers standard bundle price only for Unlimited Phone and up to 6M HSI, but not promotional pricing, credits, early termination fees, additional services, installation or equipment, government-mandated or permissible current and future taxes, fees, surcharges, recovery fees, collection fees, or other charges. Void if customer moves, event to a Windstream service area, makes any changes to services, disconnects any services, is disconnected by Windstream, or fails to make full payment when due. If use of Unlimited Phone is inconsistent with the terms, Windstream may void Lifetime Price Guarantee resulting in rates converting to the then-applicable rate for the bundle or service. Windstream and the Windstream logo are registered service marks of Windstream Services, LLC © 2017 Windstream Services, LLC. Additional restrictions may apply. 8. Zone 3 Non Premium Markets – Bundle Windstream: Limited-time, non-transferable offer for residential customers that may not be combined with other promotions. Subject to availability, credit approval, Windstream Terms and Conditions (www.windstream.com/terms), and Windstream Acceptable Use Policy (windstream.net). Details: Must be a new Windstream customer who has not received Windstream service within the past 30 days. Must subscribe to select plans qualify. Customers subscribing to select speeds may qualify for a one-time credit to be applied to customer’s first month’s bill. High Speed Internet: Windstream cannot guarantee speeds or uninterrupted, error-free service. Speed availability, capabilities and provisioning vary depending on network and terrain conditions, Internet, website, or network congestion, and customer geographical location. Windstream makes no representations related to download or upload speeds. Windstream assumes no responsibility or liability for interruption of services or service performance differences actual and advertised performance. Enhanced Speed: Windstream will provision customer’s location for the fastest speed available, up to 10-25M, at the time of order but cannot guarantee speed. Additional fees may apply. Equipment: Monthly equipment fees may apply. Windstream-provided modems will be capable of in-home wireless networking, but devices supported by in-home wireless networking connections may experience speeds not equal to advertised speeds or the speed referenced in your High Speed Internet plan. With wireless networking, actual throughput speed may be impacted by several factors including interference from other equipment or devices at the location, distance from the modem, modem location, types of devices connected, physical obstructions, and time of day. To obtain advertised speed, connecting a device directly to the modem to provide a wired connection is recommended. Modem equipment must be returned upon termination, and if not, Windstream reserves the right to charge for the modem or a $100 fee. Unlimited Phone: Includes residential voice calls, certain calling features and unlimited residential long distance (see www.windstream.com for examples) within the U.S. and select territories. Calls inconsistent with these terms may void Unlimited Phone and Windstream may charge 10 cents per minute, per call. Lifetime Price Guarantee: Covers standard bundle price only for Unlimited Phone and up to 6M HSI, but not promotional pricing, credits, early termination fees, additional services, installation or equipment, government-mandated or permissible current and future taxes, fees, surcharges, recovery fees, collection fees, or other charges. Void if customer moves, event to a Windstream service area, makes any changes to services, disconnects any services, is disconnected by Windstream, or fails to make full payment when due. If use of Unlimited Phone is inconsistent with the terms, Windstream may void Lifetime Price Guarantee resulting in rates converting to the then-applicable rate for the bundle or service. Windstream and the Windstream logo are registered service marks of Windstream Services, LLC © 2017 Windstream Services, LLC. Additional restrictions may apply. Non-Kinetic (Lincoln, Lex) 9. Non-Kinetic (Lincoln, Lex) – Solo Windstream: Limited-time, non-transferable offer for residential customers that may not be combined with other promotions. Subject to availability, credit approval, Windstream Terms and Conditions (www.windstream.com/terms), and Windstream Acceptable Use Policy (windstream.net). Details: Must be a new Windstream customer who has not received Windstream service within the past 30 days. Must subscribe to select plans qualify. Promotional credit will vary by plan. After 12 months, the standard HSI rate applies. High Speed Internet: Includes Internet transport, Internet access, and unlimited incoming calls. Outbound calls, except for toll free and 911, will be charged at 10 cents/minute. Operator Service and 411 will be charged at tariffed rates. No features or long-distance carrier rates allowed. Windstream cannot guarantee speeds or uninterrupted, error-free service. Speed availability, capabilities and provisioning vary depending on network and terrain conditions, Internet, website, or network congestion, and customer geographical location. Windstream makes no representations related to download or upload speeds. Windstream assumes no responsibility or liability for interruption of services or service performance differences actual and advertised performance. Enhanced Speed: Windstream will provision customer’s location for the fastest speed available, up to 10-25M, at the time of order but cannot guarantee speed. Additional fees may apply. Equipment: Monthly equipment fees may apply. Windstream-provided modems will be capable of in-home wireless networking, but devices supported by in-home wireless networking connections may experience speeds not equal to advertised speeds or the speed referenced in your High Speed Internet plan. With wireless networking, actual throughput speed may be impacted by several factors including interference from other equipment or devices at the location, distance from the modem, modem location, types of devices connected, physical obstructions, and time of day. To obtain advertised speed, connecting a device directly to the modem to provide a wired connection is recommended. Modem equipment must be returned upon termination, and if not, Windstream reserves the right to charge for the modem or a $100 fee. Windstream and the Windstream logo are registered service marks of Windstream Services, LLC © 2017 Windstream Services, LLC. Additional restrictions may apply. 10. Non-Kinetic (Lincoln, Lex) – Bundle Windstream: Limited-time, non-transferable offer for residential customers that may not be combined with other promotions. Subject to availability, credit approval, Windstream Terms and Conditions (www.windstream.com/terms), and Windstream Acceptable Use Policy (windstream.net). Details: Must be a new Windstream customer who has not received Windstream service within the past 30 days. Must subscribe to select plans qualify. Promotional credit will vary by plan. After 12 months, the standard HSI rate applies. Customers subscribing to select speeds may qualify for a one-time credit to be applied to customer’s first month’s bill. High Speed Internet: Windstream cannot guarantee speeds or uninterrupted, error-free service. Speed availability, capabilities and provisioning vary depending on network and terrain conditions, Internet, website, or network congestion, and customer geographical location. Windstream makes no representations related to download or upload speeds. Windstream assumes no responsibility or liability for interruption of services or service performance differences actual and advertised performance. Enhanced Speed: Windstream will provision customer’s location for the fastest speed available, up to 10-25M, at the time of order but cannot guarantee speed. Additional fees may apply. Equipment: Monthly equipment fees may apply. Windstream-provided modems will be capable of in-home wireless networking, but devices supported by in-home wireless networking connections may experience speeds not equal to advertised speeds or the speed referenced in your High Speed Internet plan. With wireless networking, actual throughput speed may be impacted by several factors including interference from other equipment or devices at the location, distance from the modem, modem location, types of devices connected, physical obstructions, and time of day. To obtain advertised speed, connecting a device directly to the modem to provide a wired connection is recommended. Modem equipment must be returned upon termination, and if not, Windstream reserves the right to charge for the modem or a $100 fee. Unlimited Phone: Includes residential voice calls, certain calling features and unlimited residential long distance (see www.windstream.com for examples) within the U.S. and select territories. Calls inconsistent with these terms may void Unlimited Phone and Windstream may charge 10 cents per minute, per call. 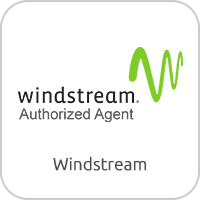 Windstream and the Windstream logo are registered service marks of Windstream Services, LLC © 2017 Windstream Services, LLC. Additional restrictions may apply.